Mercedes-Benz Canada President and CEO Brian D. Fulton says the company is frustrated by delays. Mercedes-Benz Canada says a delay of some of its 2017 models — in some cases up to two months — is due to the Volkswagen Group's year-long diesel-emissions scandal. President and CEO Brian D. Fulton, the first Canadian to head the automaker in Canada, says increased scrutiny by U.S. and Canadian emissions regulators affects both Mercedes-Benz gasoline and diesel models. "VW certainly hasn't made it easier for any of us with regards to what happened," Fulton told Automotive News Canada. Regulators "are reviewing our products like they've never reviewed them before and certainly this has led to some fairly significant delays. We've seen that on our side as well regarding certification. It's caused a lot of frustration. I'd be lying if I said we're not banging our head against the wall at times; and our dealers as well, and our customers." David Adams, president of the Global Automakers of Canada, which represents import brands said other import manufacturers "are experiencing the same challenges," he said. Adams declined to provide examples. Fulton said the certification process has delayed several new Mercedes-Benz models including the C-Class sedan and 2017 GLS tall wagon. "Even our E-Class. With every '17 model vehicle, whether diesel or gas, there have seen delay," Fulton said. "It's taken an extra month [or] couple of months to get the cars certified and get them into our dealerships." Volkswagen was caught last year installing devices on millions of its diesel-fueled vehicles that allowed them to pass emission tests. Investigators found that the cars released toxins such as nitrogen oxide at levels more than 40 times higher than current regulations in the United States allow. The U.S. Environmental Protection Agency (EPA) and California Air Resources Board (CARB) reacted by tightening their testing regimes. In Canada, an investigation was launched by Environment and Climate Change Canada, the country's environment regulator. Volkswagen sold about 100,000 diesels equipped with emissions-fixing software in Canada between 2000 and 2015. Natural Resources Canada often adopts similar procedures as its U.S. counterpart which has led to increased stringency and delays in certifying new models for sale here. 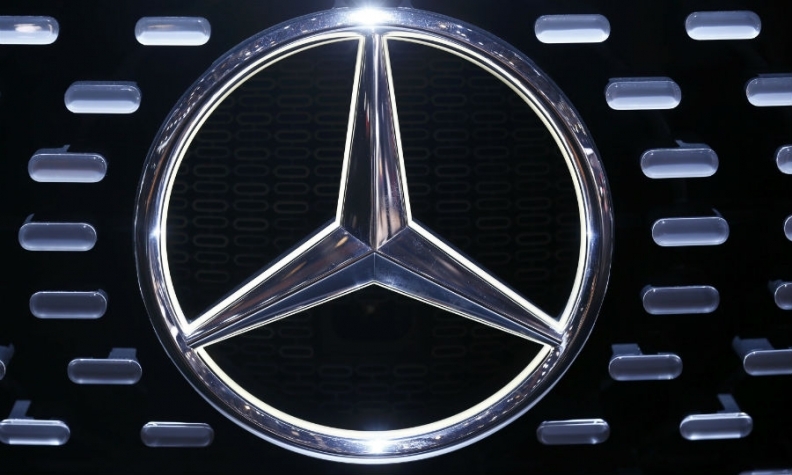 The cloud over VW diesels has not hurt demand for Mercedes diesels, though, Fulton said. "If anything, the demand from a customers standpoint is as strong now for Mercedes diesels as it's ever been," he said. In order to meet the continued demand of customers, Dean Rideout of Langley Mercedes-Benz dealership in B.C. to resort to selling year-old demos to fill in for delayed 2017 product. “We have some pretty good opportunities to buy some employee leases that are coming up after one year, that are diesel vehicles. So, we’ve been backfilling new car sales with these sort of pseudo-demo sales,” Rideout said. “But we’re a positive group of people just focused on what it is we can do rather than the stuff that would prevent us from doing business,” Rideout said. Mercedes-Benz hasn’t told Rideout much about the delays, yet. Rideout said the delays haven’t cost his dealership much — if any — loss in sales. Rideout said his customers are well aware of what’s happening. “They’re well read. They know what’s going on in the industry,” he said. “They don’t blame Mercedes-Benz or any other German or British brands or anything like that. They’re almost, basically, focusing solely on Volkswagen. That’s the reason for the delays." The problem is perhaps the only cloud over M-B Canada's impressive performance. It has been Canada's No. 1 luxury brand in terms of sales the last two years, with a market share of 16.1 per cent. Fulton expects to duplicate that sales performance this year, despite the softening in oil- and gas-producing centres such as Alberta. Strong dealer performance, solid product and customer loyalty have softened that edge. "Yeah, we've hit a little bit of a rough patch in Alberta, as has everybody, but we'll get through it," he said. "We're not pressing any panic buttons, that's for sure." Mercedes-Benz has more than 100 model variants for sale in Canada. Fulton said there are no plans to trim the sedan offerings in the face of Canadians' growing embrace of tall wagons and trucks. August was the first month wagons and trucks surpassed 50 per cent of total sales for M-B Canada. "If anything, you'll see [commitment to passengers cars] deepen over the next couple of years," Fulton said. Fulton hinted that M-B Canada could add the A-Class compact hatchback to the Canadian lineup. Its currently only sold in Europe and parts of Asia. "But stay tuned," he said. Fulton became M-B Canada president and CEO in May, succeeding Gareth T. Joyce as President and CEO, and spent most of his career in financial services, first at Ford Motor Credit, then Toyota Motor Credit. He joined M-B Canada's financial services arm in 1994 as an assistant regional manager and held various senior positions in the United States and Asia. Previously, Fulton was President and CEO of Mercedes-Benz Auto Finance China where he was responsible for the overall financial services operations for China and Hong Kong. Fulton has also served as the President and CEO of Mercedes-Benz Financial Services Canada where he was responsible for the Mercedes-Benz Financial Services and Daimler Truck Financial portfolio.